Hi, My name is Simon Revilla, I’m a Swedish-Bolivian filmmaker and author of the short film MIGUITA, which I would like to share with you here on Boliviabella. 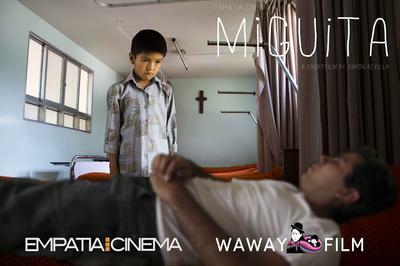 MIGUITA is the story about a child with the same name, living in El Alto. One day his brother gets sick, and needs a urgent kidney transplant. For Miguita, the following events will put his courage on the test and lead him to make big decisions. This is a story about the first confrontation with death, but also about the power of love and imagination. Together with a small group of dedicated young people, I’m working hard to realize this project. As we all know, dreams don’t come true without effort, cooperation and financing. Since this is a personal, independent project, we want to produce it in a similar way. Therefore I would like to invite you to join us, through our current Crowdfunding-campaign! This is by many considered as the new and democratic way of financing culture. When you make a donation you don’t only support the project, you also contribute to giving disadvantaged children in Bolivia a better future through our partner NGO's which will receive 20% of our donations. Besides, we will give away exclusive rewards to our backers, such as T-shirts, DVD's and posters from the film. Thank you very much for your time, and hope you will join us on this journey!